Keep your family hydrated with refreshing, clean and safe water. 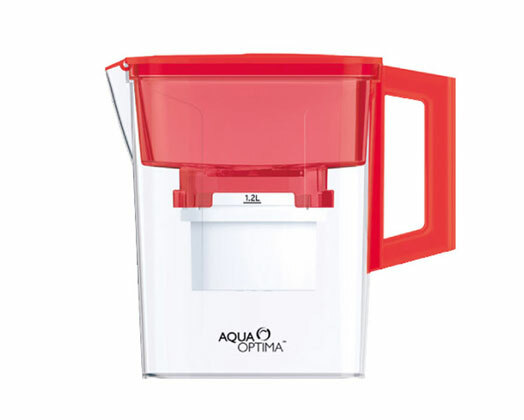 The Green 2.1 Litre Compact Jug from Aqua Optima has a capacity for 1.2L filtered water once the filter has been inserted. With its slim line design the Green 2.1 Litre Compact Jug will fit into any fridge door. It comes standard with 1 Aqua Optima Evolve filter included. The Green 2.1 Litre Compact Jug has a detachable handle and easy fill lid. Total capacity 2.1 litres ; filtered water capacity 1.2 litres. Slimline design fits into fridge door. 1x30-day aqua optima evolve filter included. Removes impurities from tap water. Improves look and taste of cooked vegetables. Clean water for all of the family.